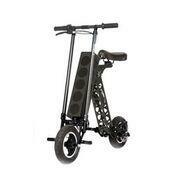 Electric scooter maker URB-E burst on to the scene last year with a splash with its first scooter. 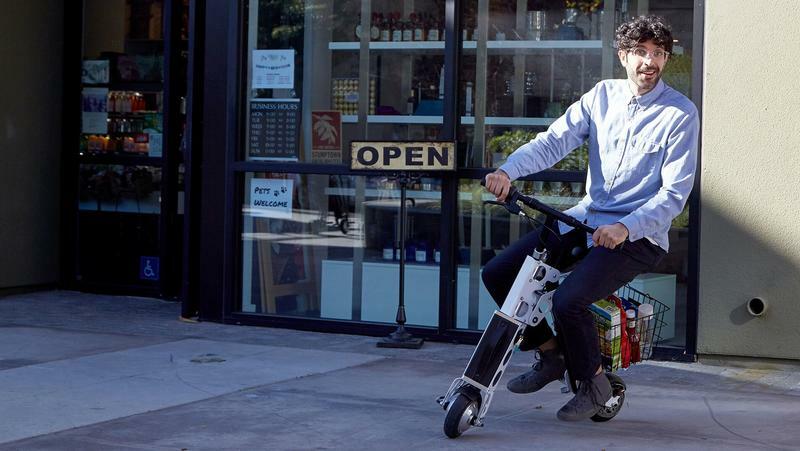 It’s quirky and unique design made it a fun but cumbersome transportation device. 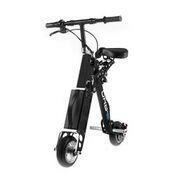 We tested one in the office and came away thoroughly impressed. 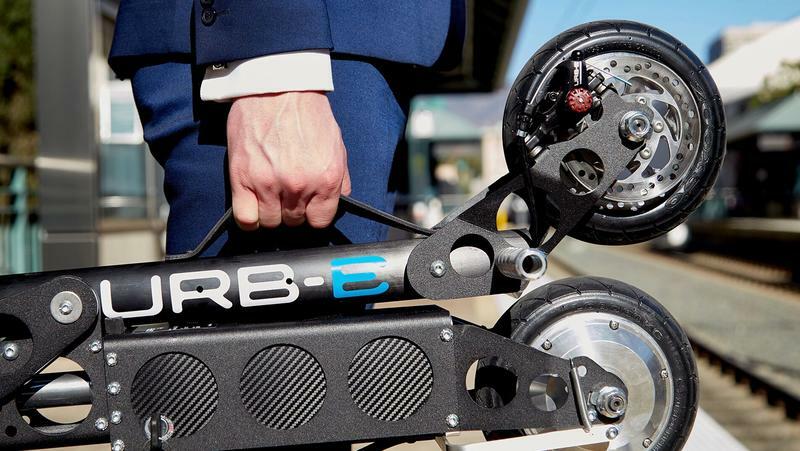 Now URB-E is back with four new models. 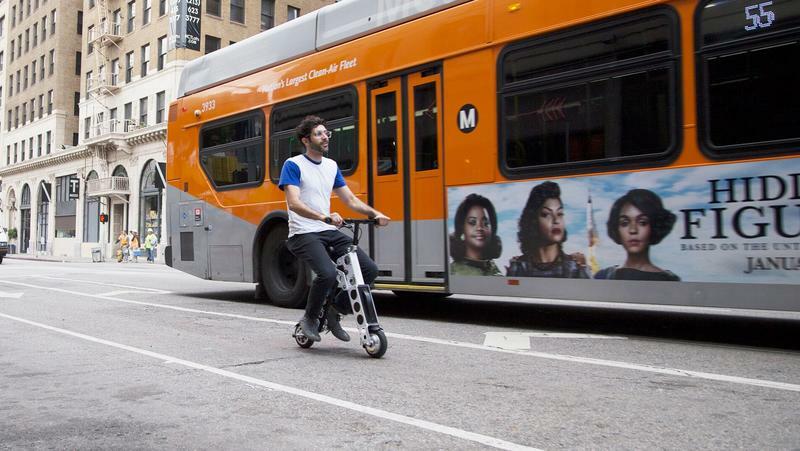 Starting off with the URB-E Sport, it’s cheapest and most affordable model to date, it starts off at $899, a big drop off from the $1,499 starting point of last year’s model. 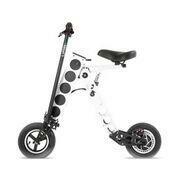 It has a range of 16 miles, tops off at 14 miles per hour, weighs 30 pounds and has a cool new Eddy battery. The new URB-E Eddy battery is removable battery that has four USB 2.0 ports and a USB-C port to charge your phones and tablets. It can charge MacBook Pro five times over and an iPhone 7 50 times over. 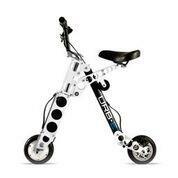 It’s bigger brother, the URB-E Sport GT has additional torque and a pushrod suspension which makes it a smoother ride. This model starts off at $1,099. 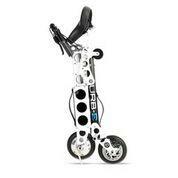 The URB-E Pro and the Pro GT are the successors to last year’s model. It features the same design, including large rectangle battery in the front and familiar carbon fiber handles, but it also features tons of upgrades. These new models come with 350 watt rear-wheel drive, 10-inch pneumatic tires—making it easier to drive on rugged terrain, a 20-mile range and a top speed of 18 miles per hour. The Pro model starts off at $1,699 and the Pro GT, which adds a high-performance controller to increase torque, comes in at $1,999. 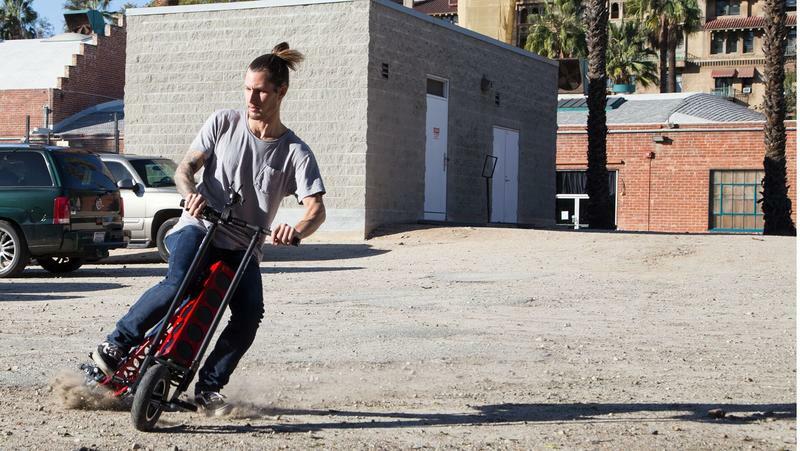 The URB-E electrical scooter is still a premium design, but these new models show that URB-E has paid attention to the competition. 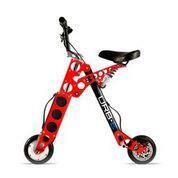 Many Chinese knock off models came in a fraction of the cost and were undercutting the URB-E. The Sport model is the answer to that: an $899 model is 40% cheaper, 20% lighter and much more useful with its battery options. Plus is solely made in California. We’ll see if the new price point pays off.